In this episode, self-proclaimed ‘rule-breaker’, mental health advocate, and entrepreneur Ashley Wiles discusses how her once challenging relationship with her mother served to inspire her life’s work - mentoring young girls with the values and skills needed to achieve any goal they desire. 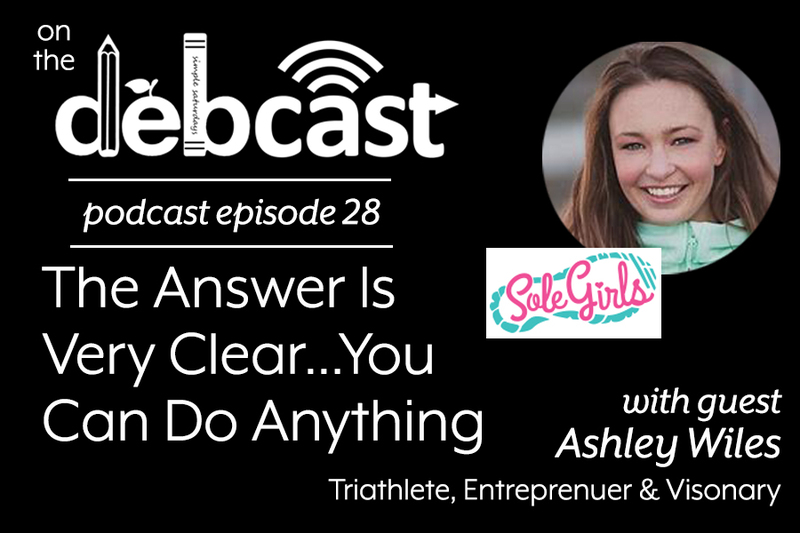 As founder of Sole Girls, Ashley encourages her young athletes to improve their outlook on life by becoming physically active and engaging in the 3 C’s of her program - confidence, community and concentration. Ashley Wiles, founder and Head Coach of Sole Girls, Youth Speaker, Life Coach, 3x Iron(wo)man, Ironman 70.3 World Championship competitor and Mental Health Advocate. Growing up in a family of runners, Ashley started running at 5 years old, and now runs and competes in triathlons around the world. While working as a life coach, dealing with anxiety and then seeing Amanda Todd’s video in 2012, she created Sole Girls. Ashley was named top 10 young entrepreneurs to watch in Vancouver by the Globe and Mail, and top 5 motivators in Canada by Impact Magazine; and recently the 2016 Most Inspiring Coach in North America by Brooks Running. Ashley has spoken At TedxKidsBC, Rogers Arena, SheTalks as well as schools in Canada and abroad. She travels to teach workshops for adults and girls, hold leadership summits and empower others. Sole Girls was named top 5 small business in BC with a Community Impact by Small Business BC, and has expanded to license sole girls curriculum globally. She travels to teach workshops for adults and girls, hold leadership summits and empower others.